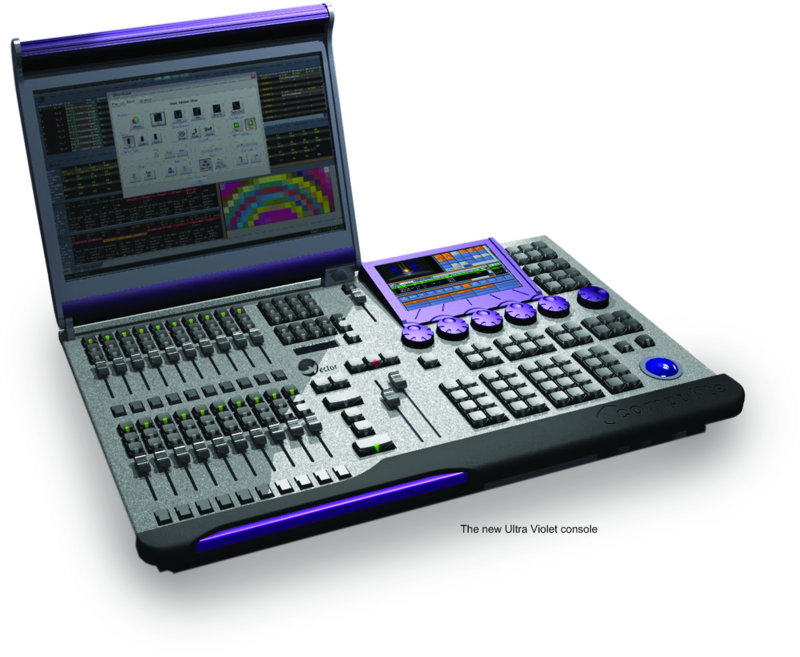 A lighting control console (also called a lightboard, lighting board, or lighting desk) is an electronic device used in theatrical lighting design to control multiple lights at once. 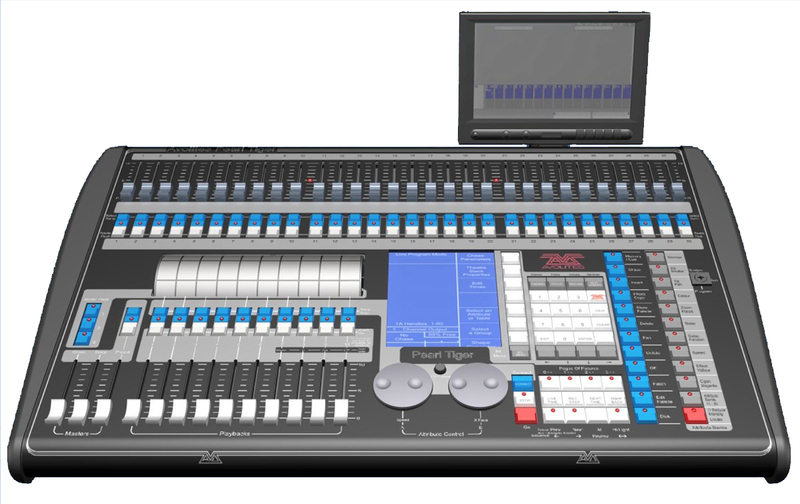 They are used throughout the entertainment industry and are normally placed at the Front of House (FOH) position or in the control booth / gallery. 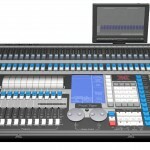 All lighting control consoles can control dimmers which control the intensity of the lights. Many modern consoles can also control intelligent lighting (lights that can move, change colors and gobo patterns), smoke machines and hazers, and other special effects devices. 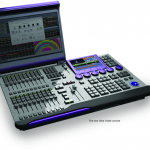 Intelligent Controllers are another step up in sophistication from Memory Consoles. As well as being capable of controlling generic luminares via dimmers, they provide additional controls for intelligent fixtures. On midrange controllers, these are usually provided as a section separate from main Preset and Cue stack controls. These include an array of buttons allowing the operator to select the fixture or fixtures they want to control, and a joystick, or a number of wheels or rotary encoders to control fixture attributes such as the orientation (pan and tilt), focus, colour, gobos etc. found in this type of light. Unlike a fader that shows its value based on the position of a slider, a wheel is continuously variable and provides no visual feedback for the value of a particular control. Some form of display such as LCD or LED is therefore vital for displaying this information. More advanced desks typically have one or more touchscreens, and present a GUI that integrates all the aspects of the lighting. As there is no standard way of controlling an intelligent light, an important function for this type of desk is to consolidate the various ways in which the hundreds of types of intelligent lights are controlled into a single abstract interface for the user. By integrating knowledge of different fixtures and their attributes into the lighting desk software, the detail of how an attribute such as pan or tilt is controlled for one device vs. another can be hidden from the operator. This frees the operator to think in terms of what they want to achieve (e.g. pan 30 degrees clockwise) instead of how it is achieved for any given fixture (e.g. send value 137 down channel 23).